﻿Valery Schmatko was born in Kharkov, Ukraine in 1965 and lives and works there today. 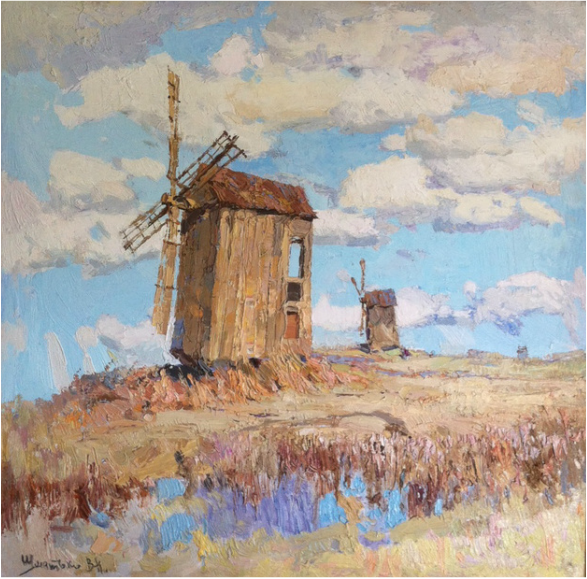 After attending the local art college he gained acceptance to Kharkov Art Institute and graduated in 1988 with a degree in painting and painting restoration. As a student, the young artist participated in numerous exhibits at the Institute. His first major show was later in 1991 at the Kharkov Museum of Art. Valery Considers his work to be realism and prides himself in the accuracy of his paintings. 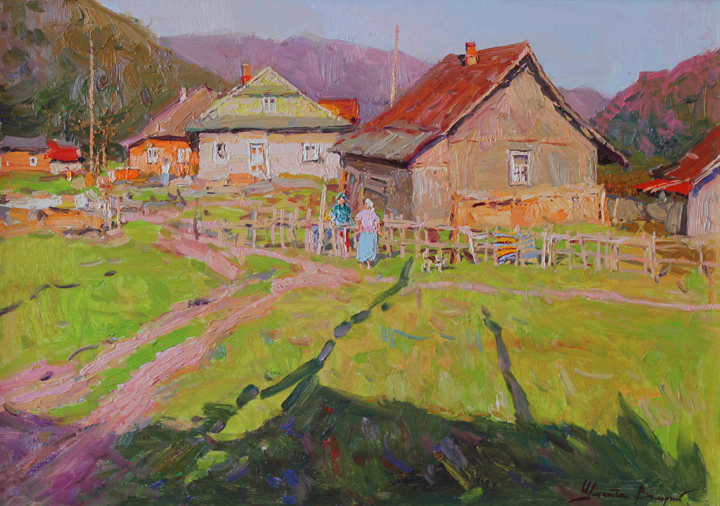 He says that his inspiration is at its peak when he is paintng the beauty of his homeland Ukraine. Schmatko seeks absolute harmony in the shapes, tone, space, and color in his works. His peers consider him to be a master of color and critics have said " His palette contains an infiinte number of shades and tones layerd in a sophisticated, yet subtle manner." 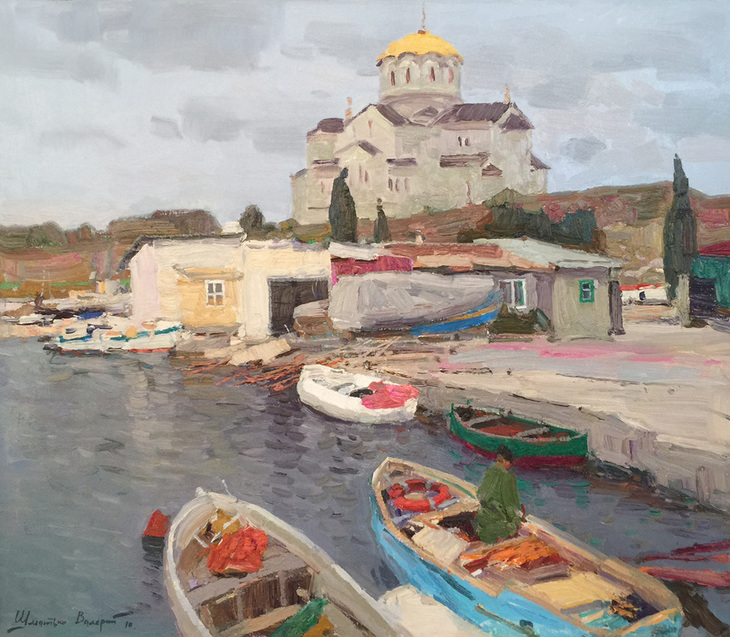 Schmatko's fine art works have been exhibited by the Donetsk Art Museum and in private galleries and collections in Kharkov, Kiev, New York, Arizona and California. "Old Houses under the Mountain"